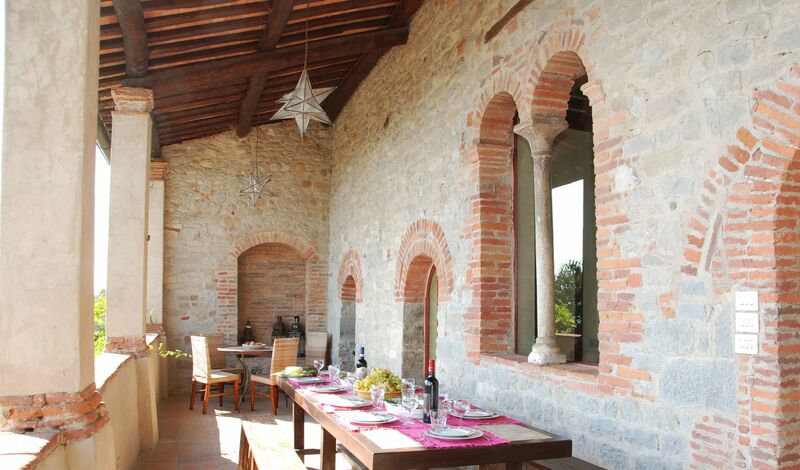 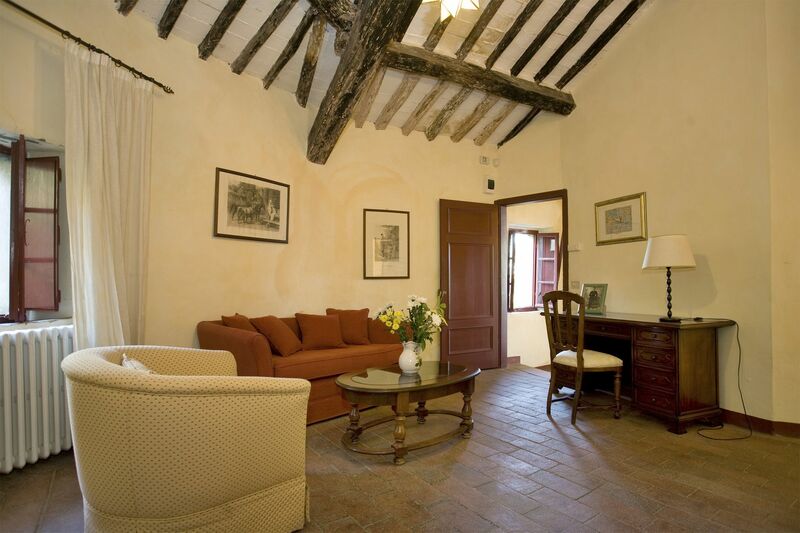 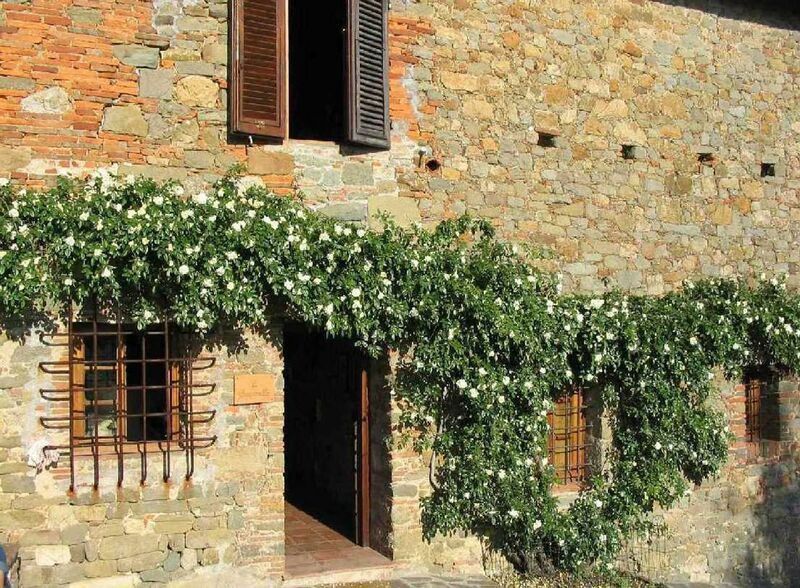 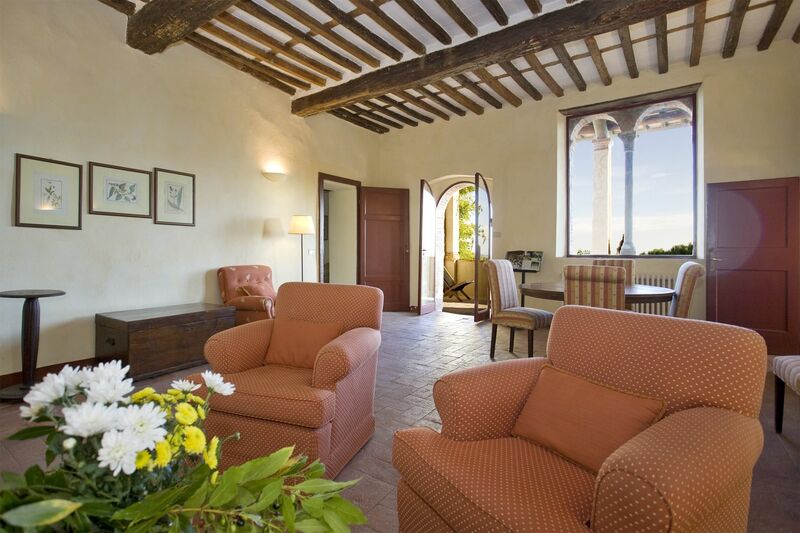 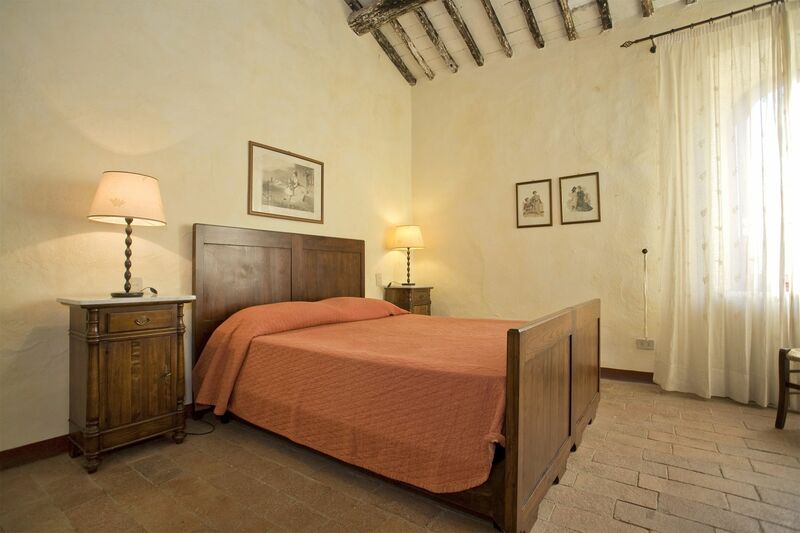 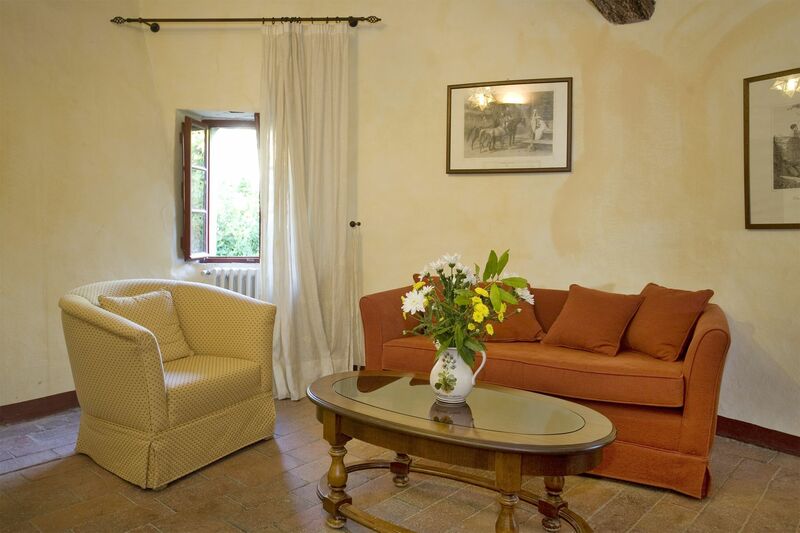 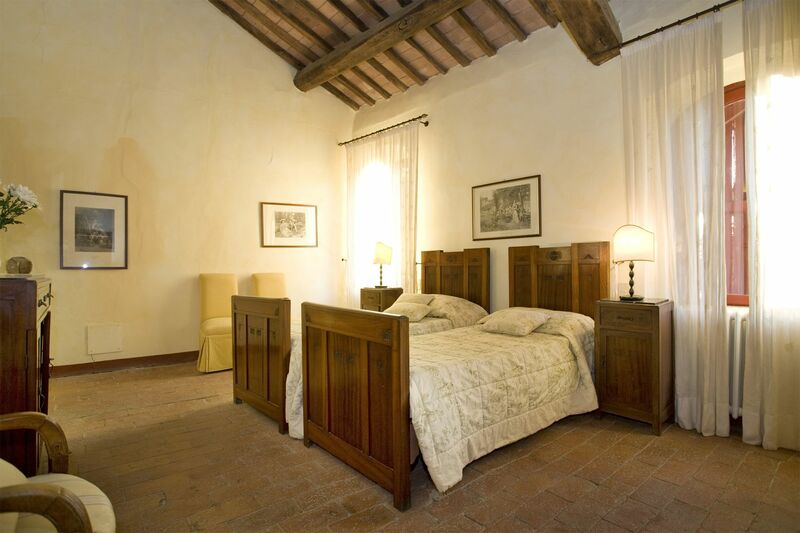 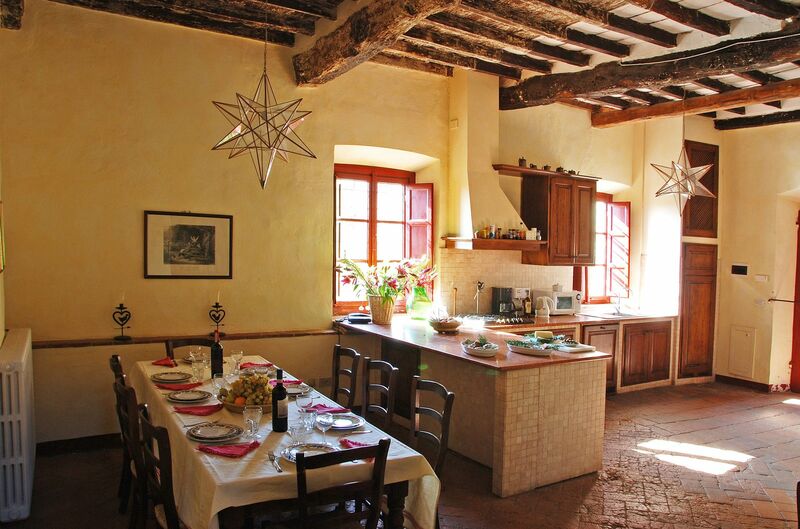 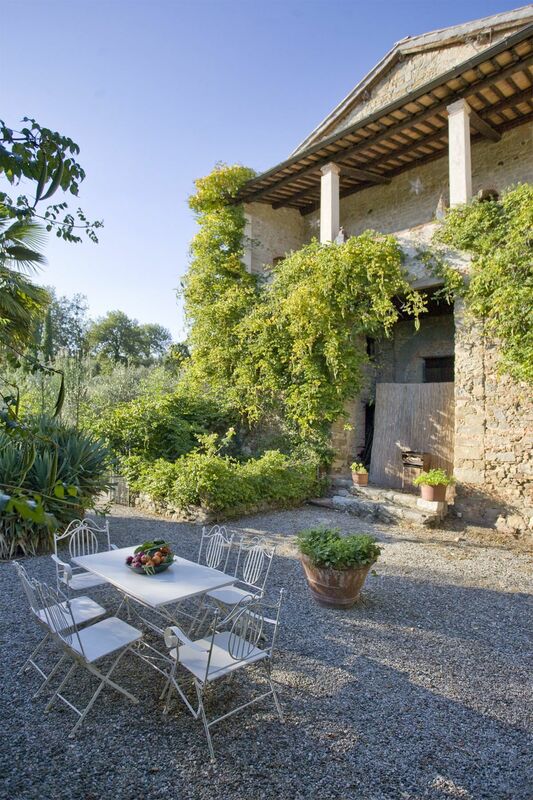 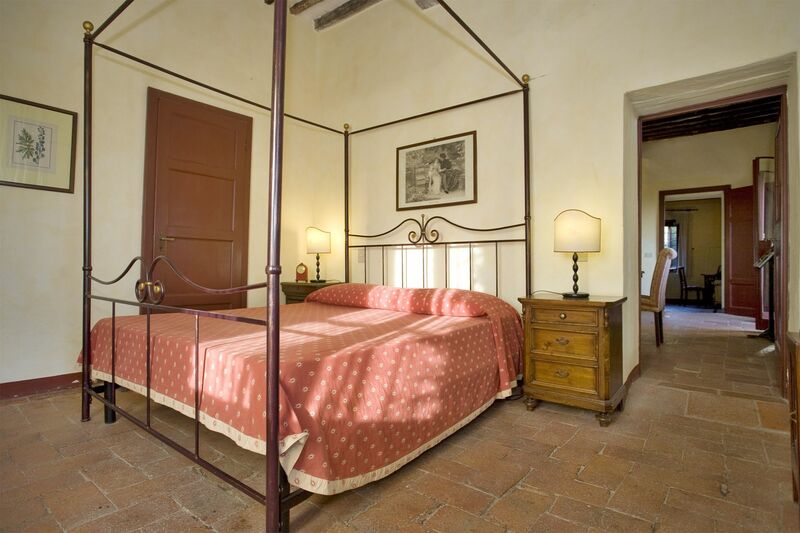 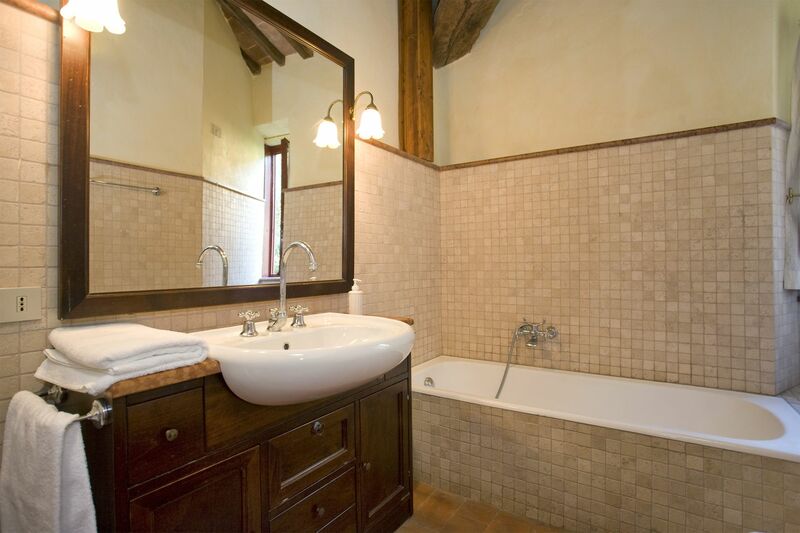 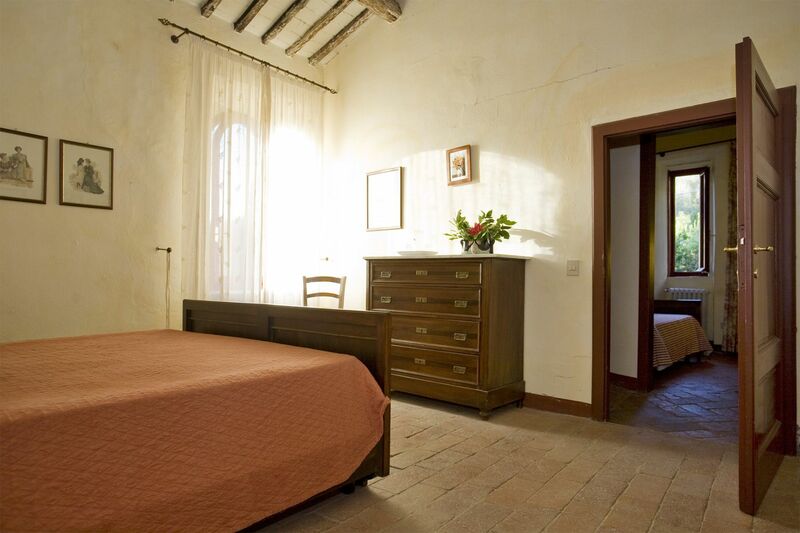 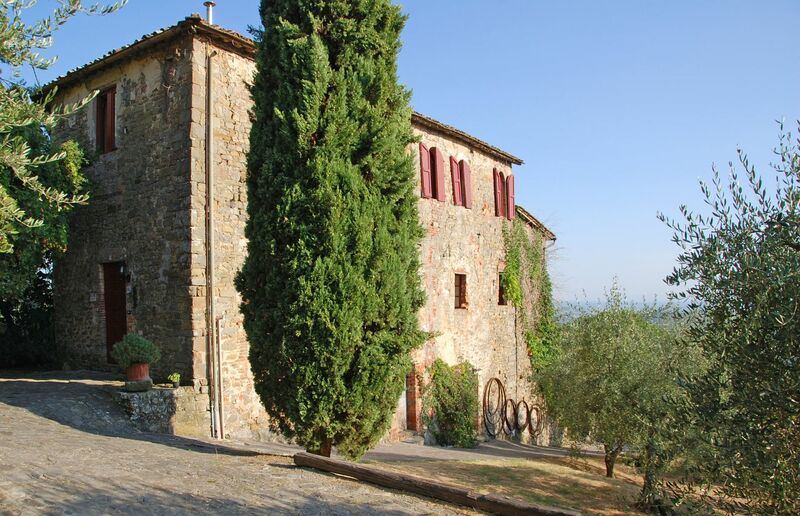 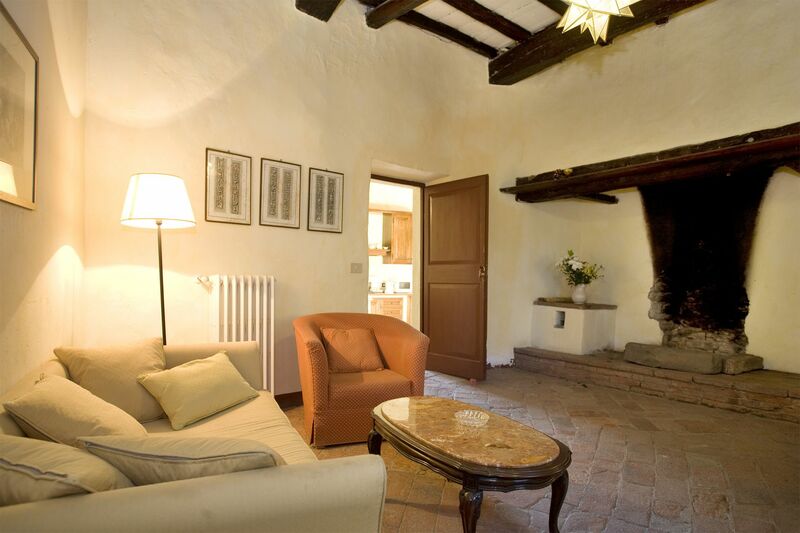 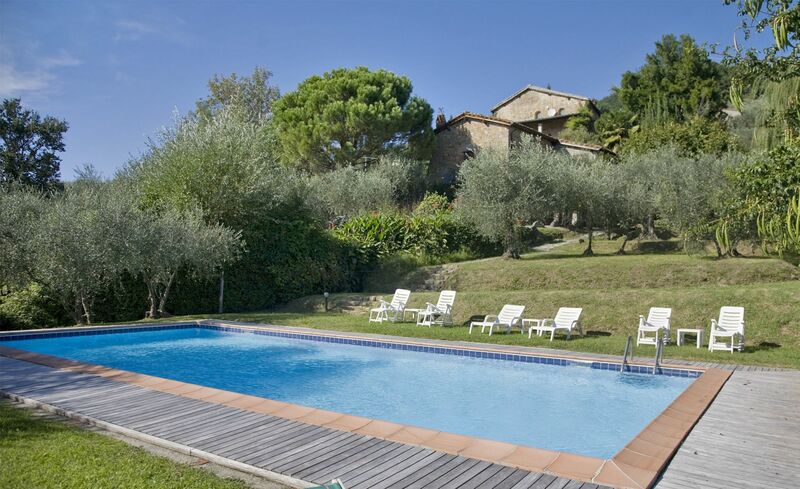 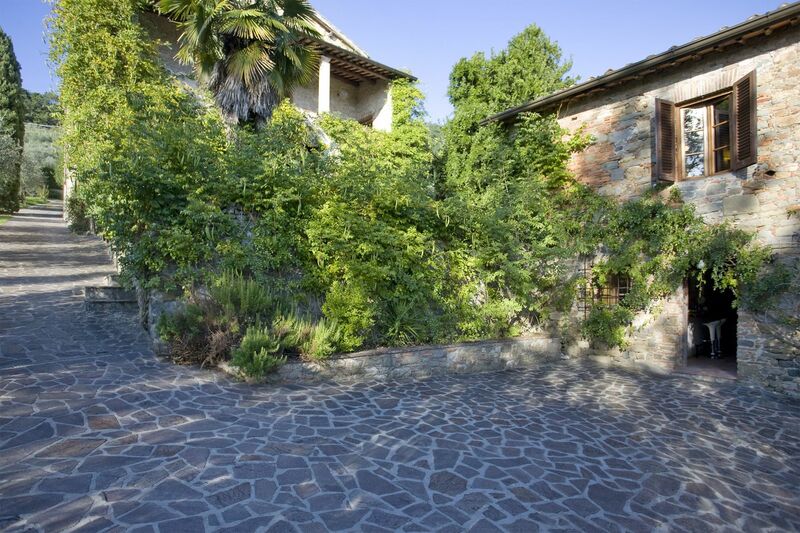 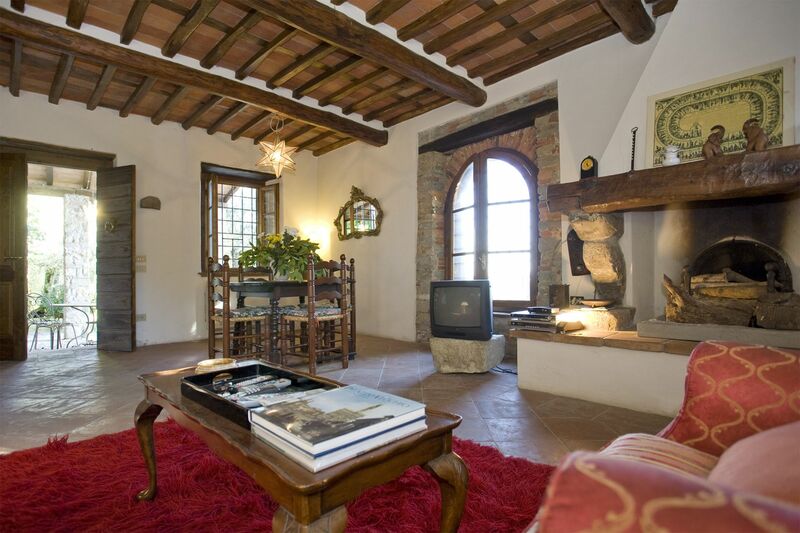 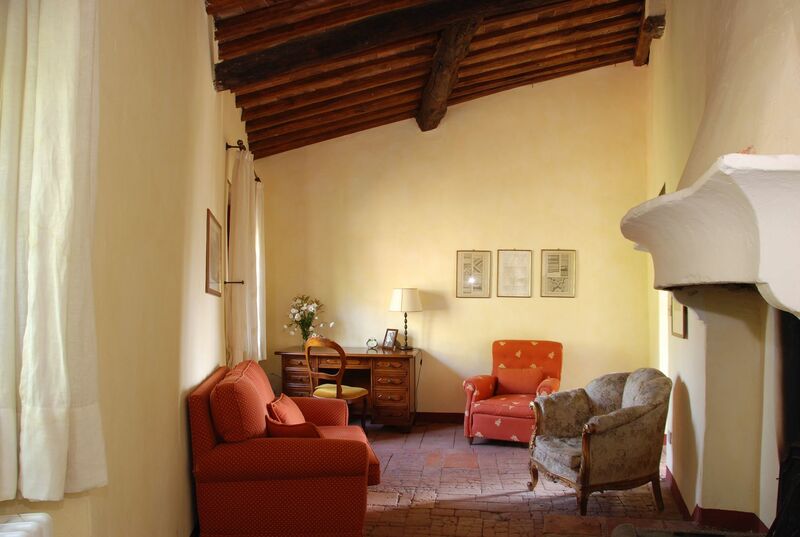 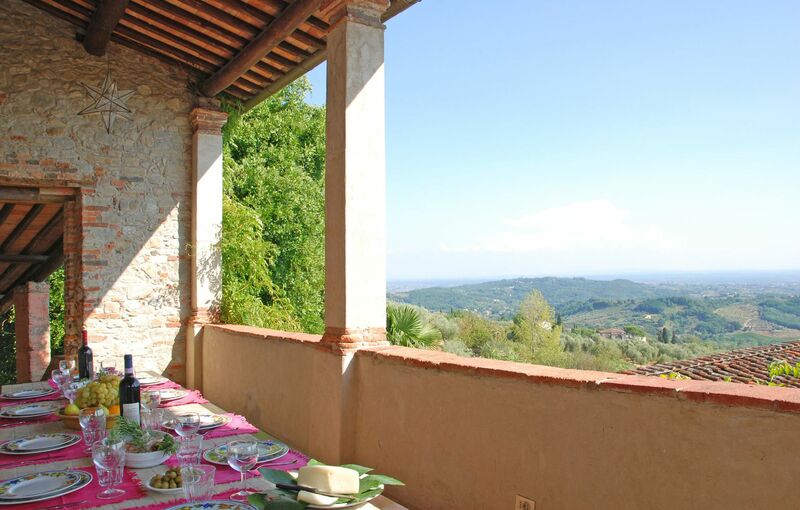 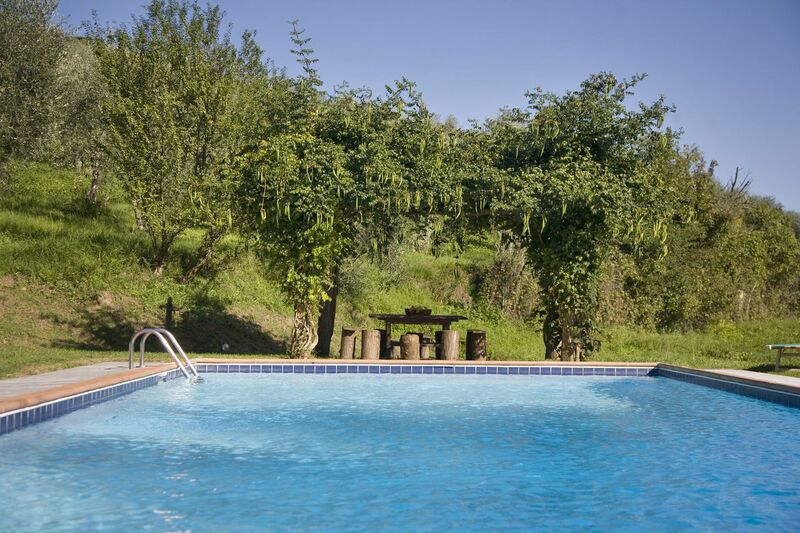 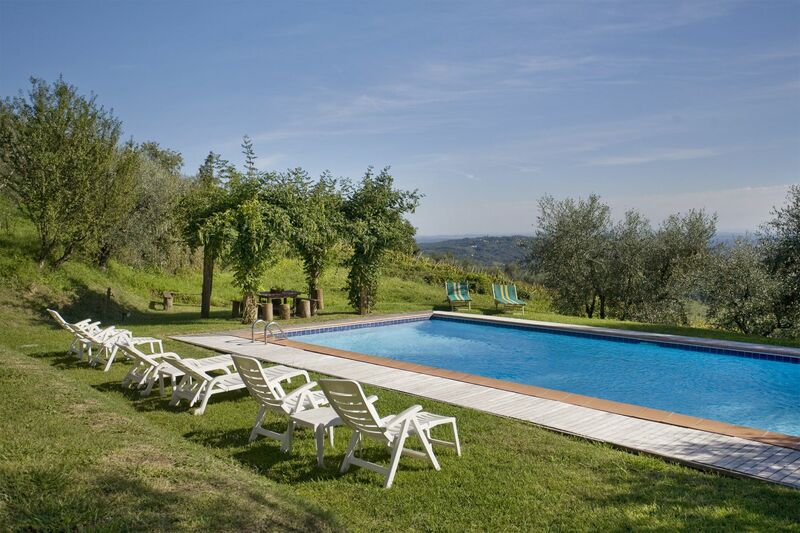 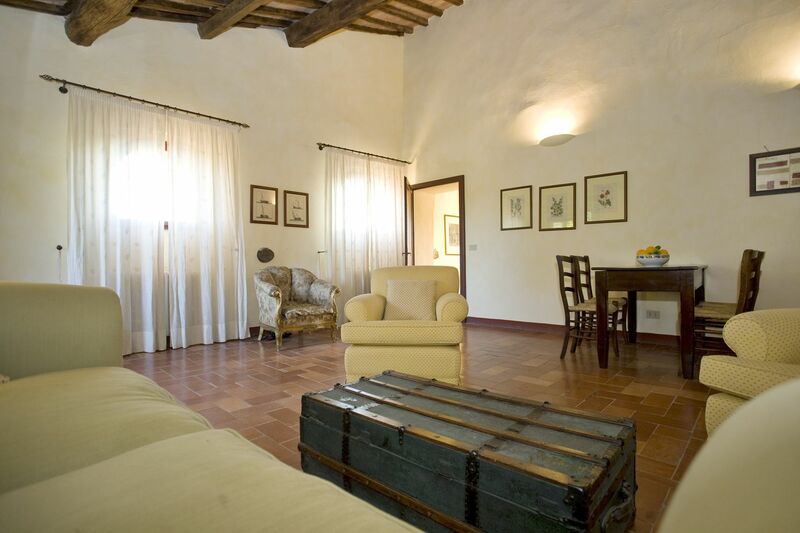 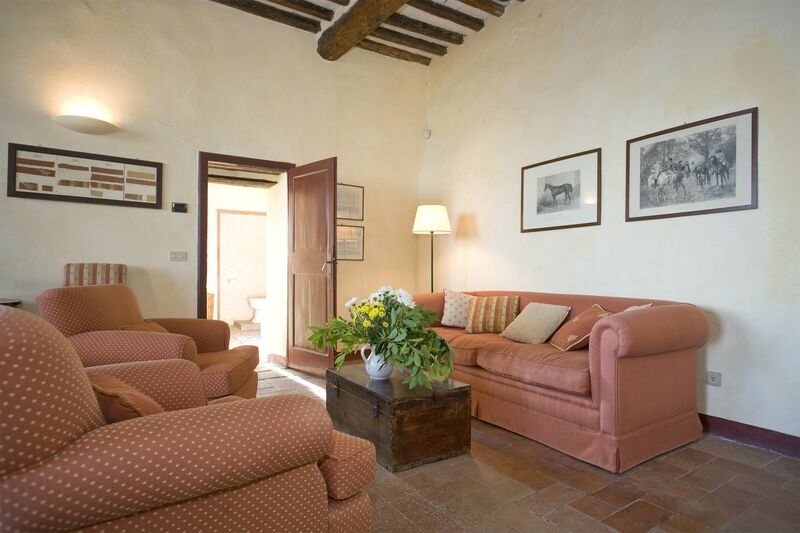 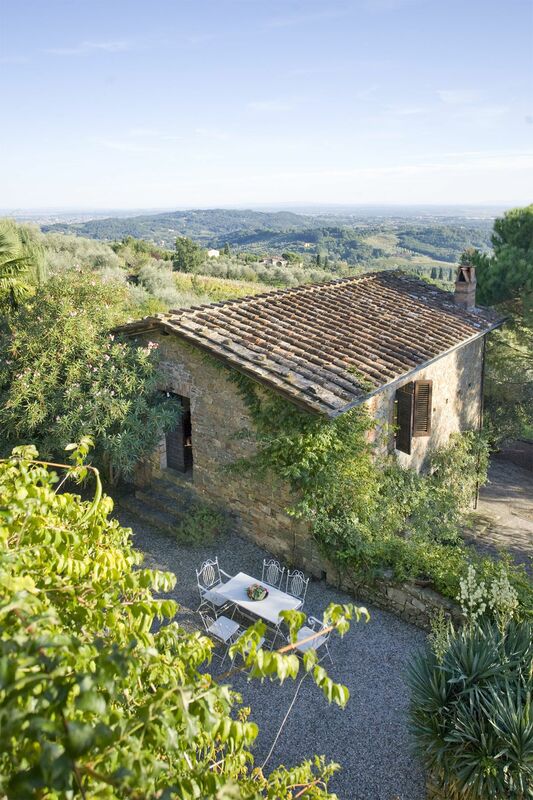 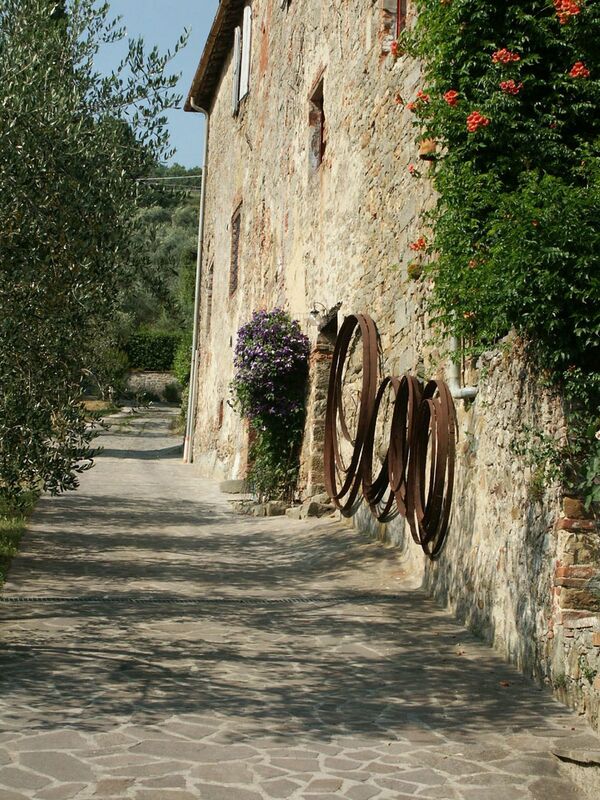 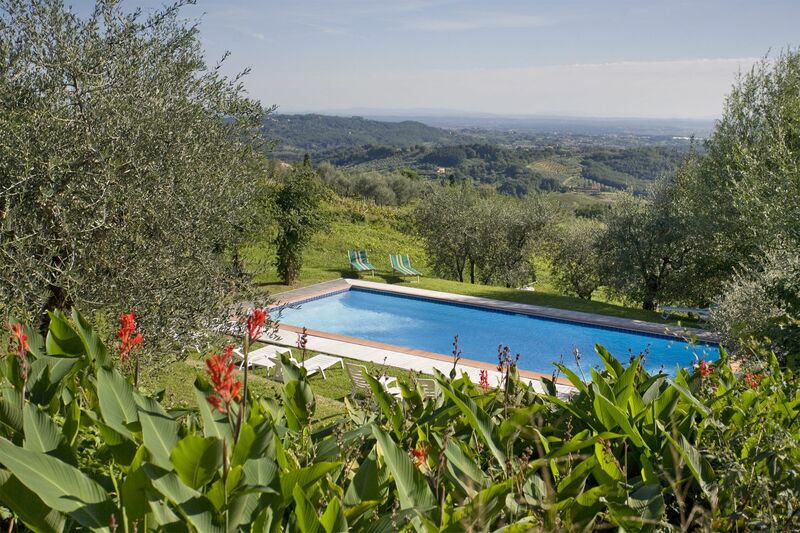 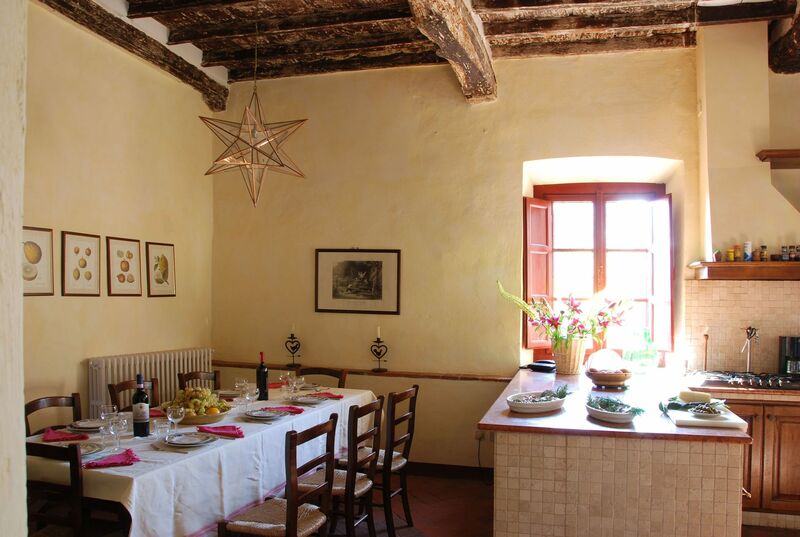 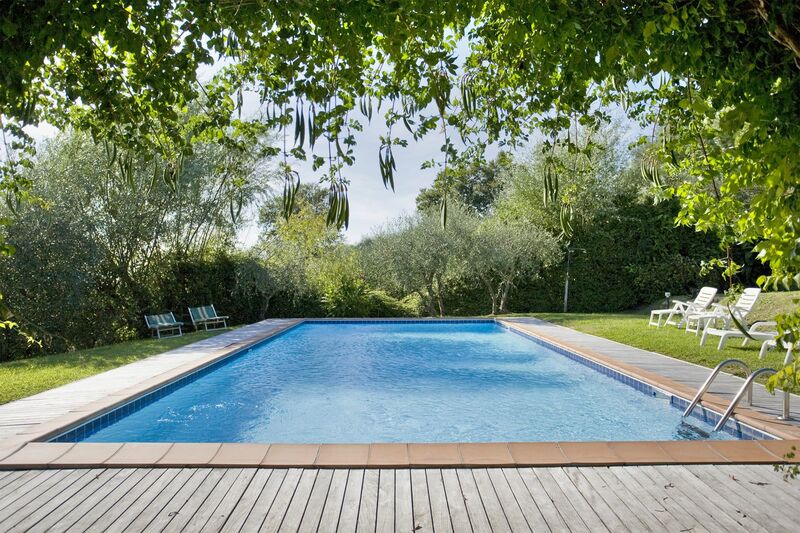 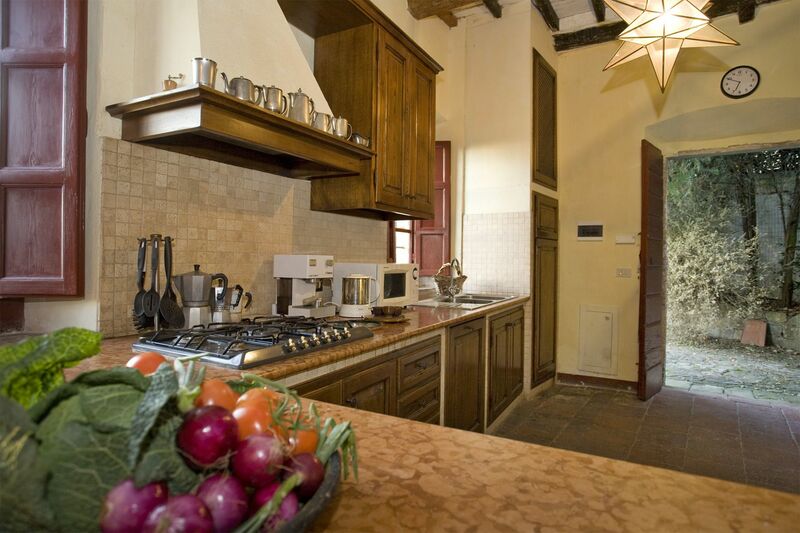 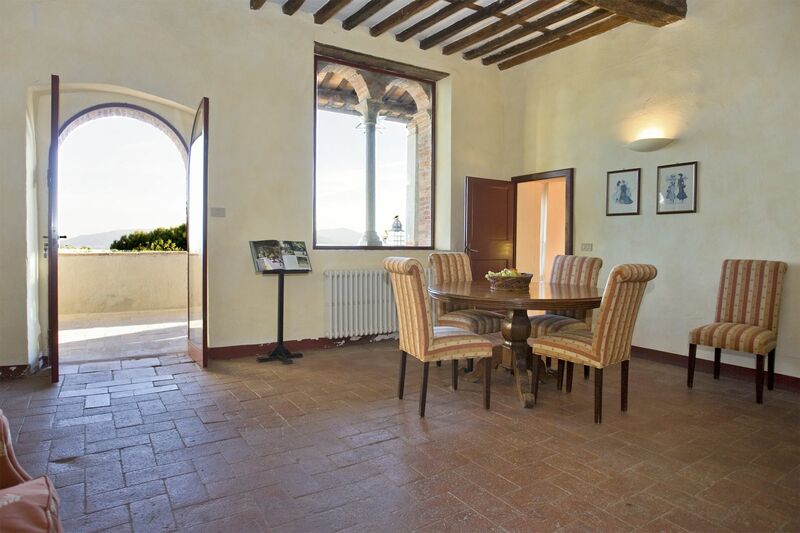 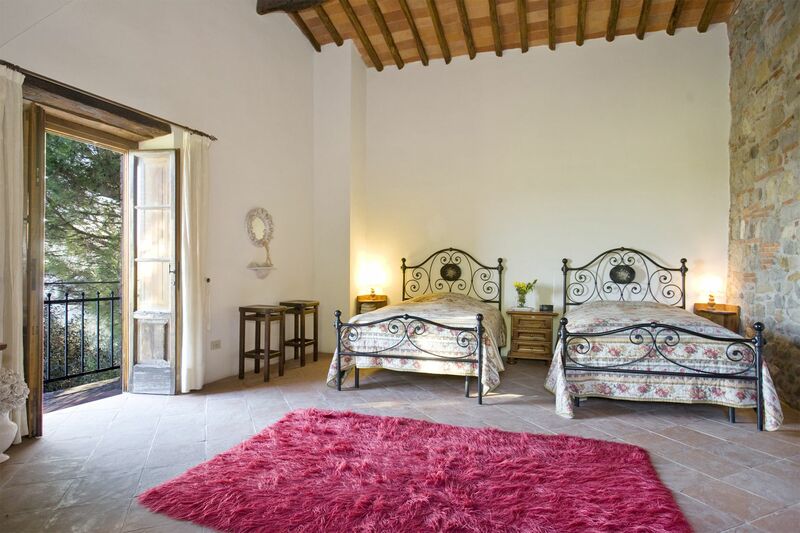 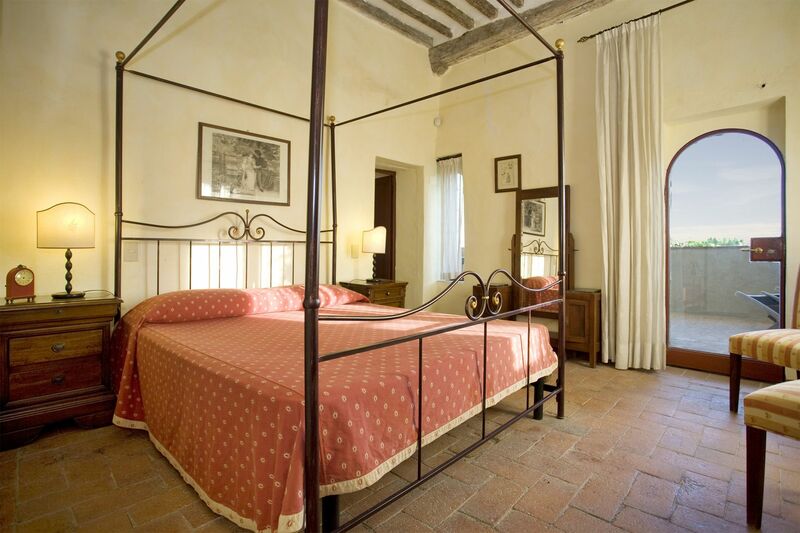 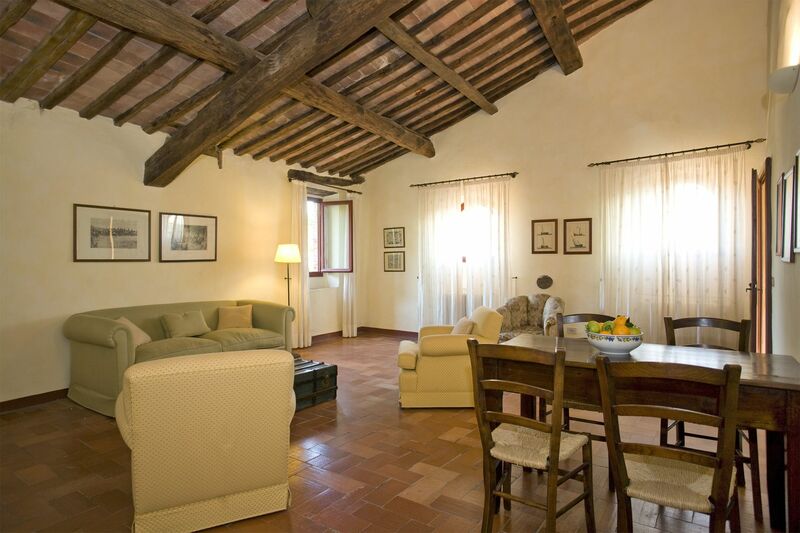 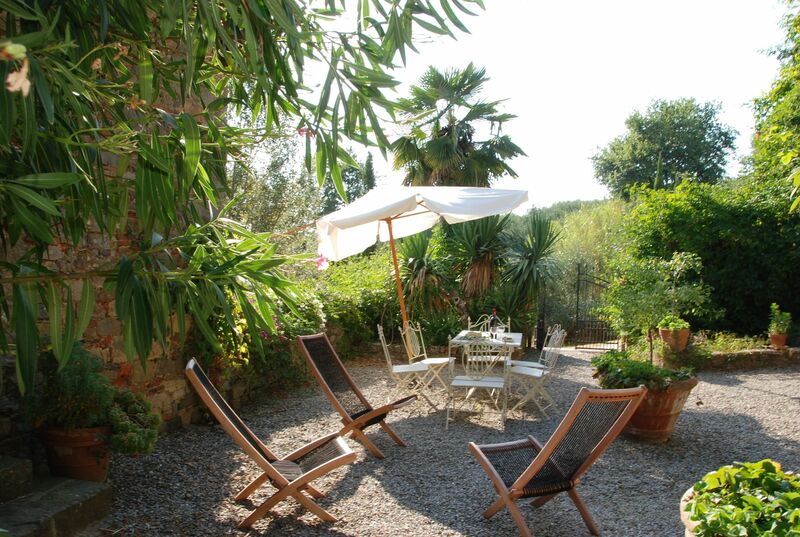 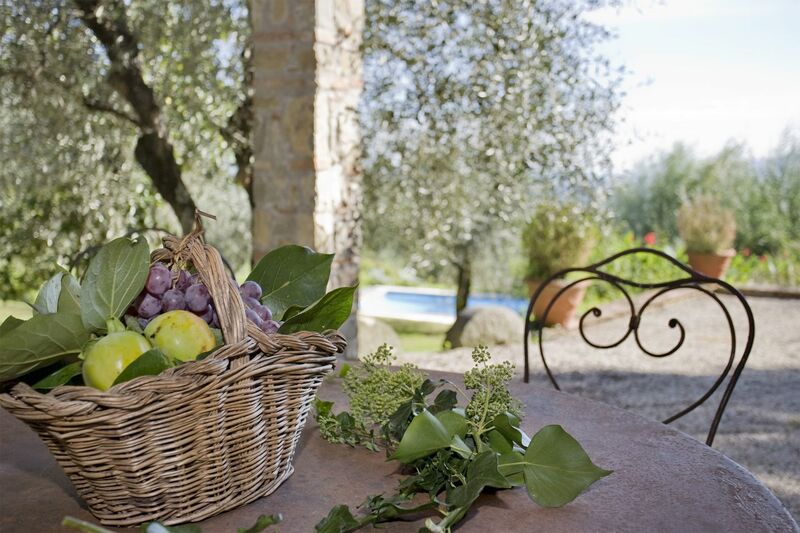 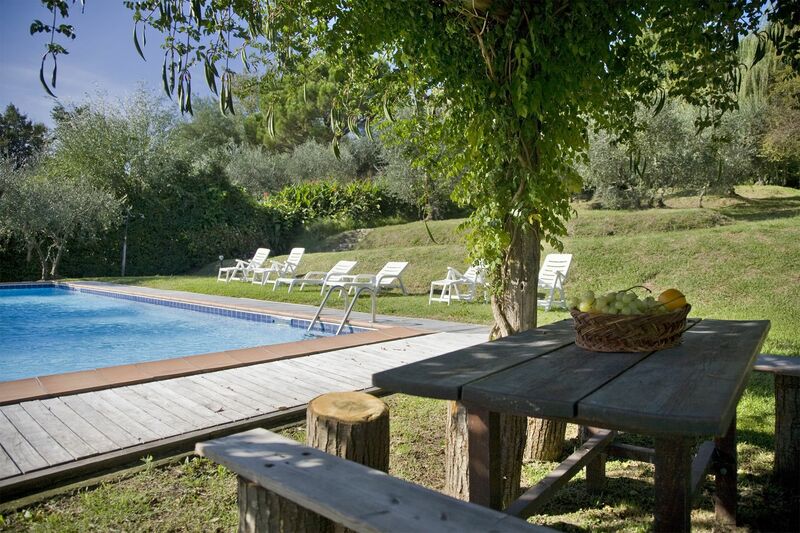 This beautiful property is situated among olive groves and vineyards on the hills east of Lucca. 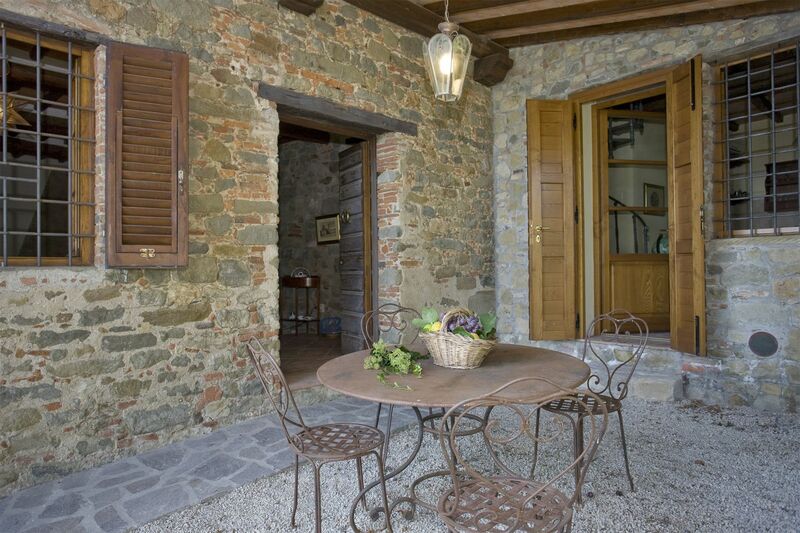 It is composed of a very old stone-built house and a guesthouse. 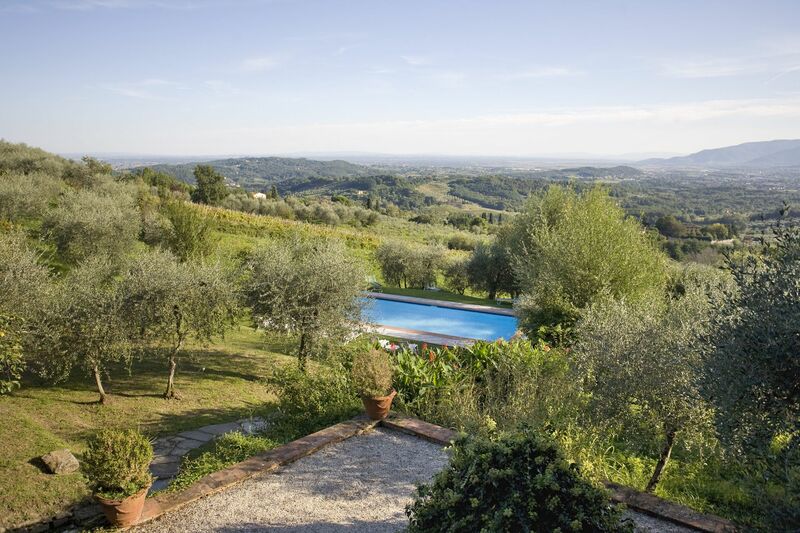 From both of them one can enjoy magnificent views. 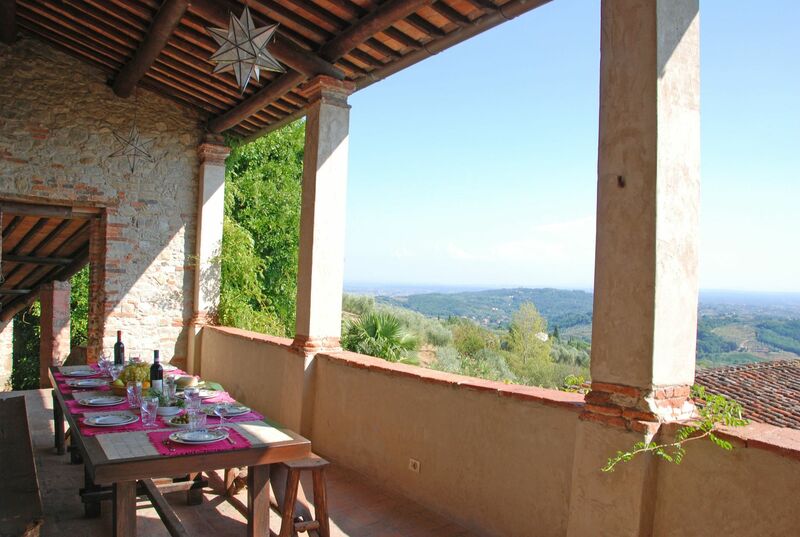 A particular feature of the main house, dating back probably to the 13th century, is a beautiful open loggia offering glorious views of the surrounding valley. 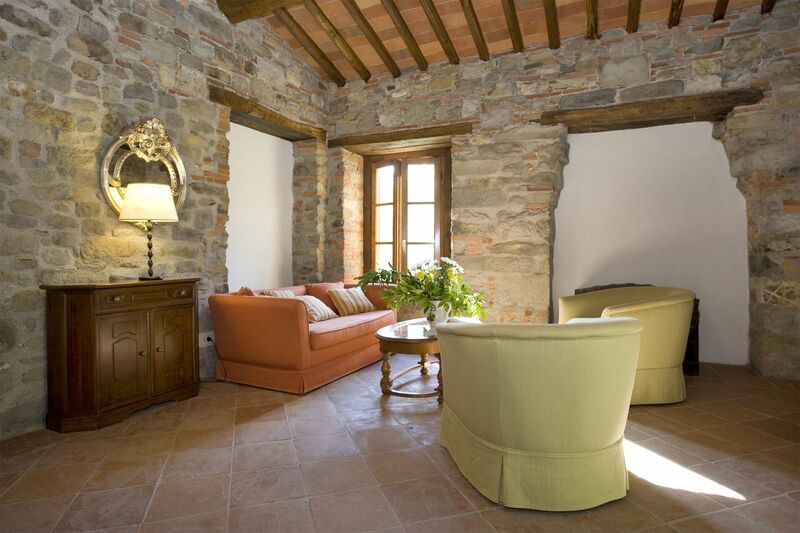 The owner, an architect and designer by profession, furnished the property with period furniture while maintaining the character of the original structure. 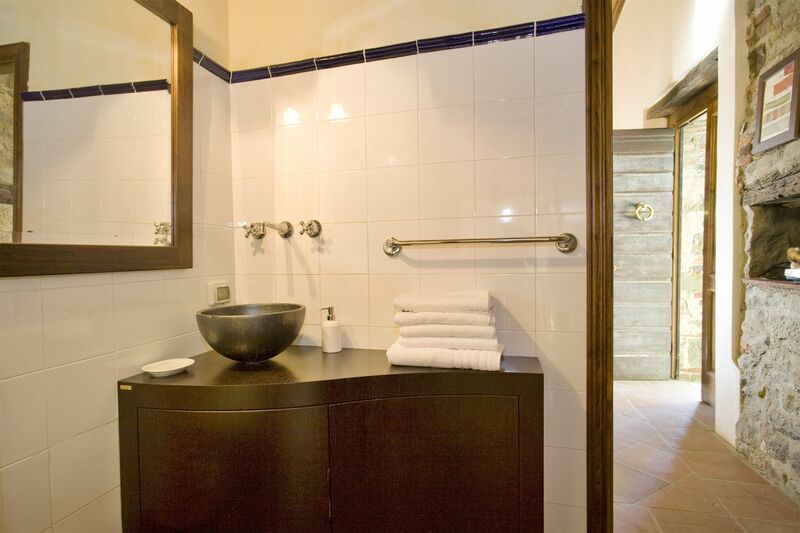 All modern facilities, including a WIFI connection, were supplied to fulfil the guests needs and each bedroom was provided with its own bathroom. 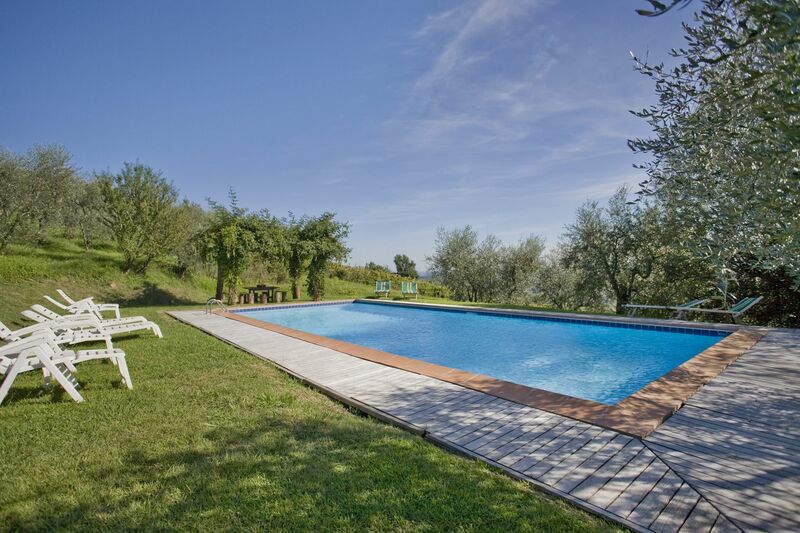 The pool is in a beautiful panoramic position. 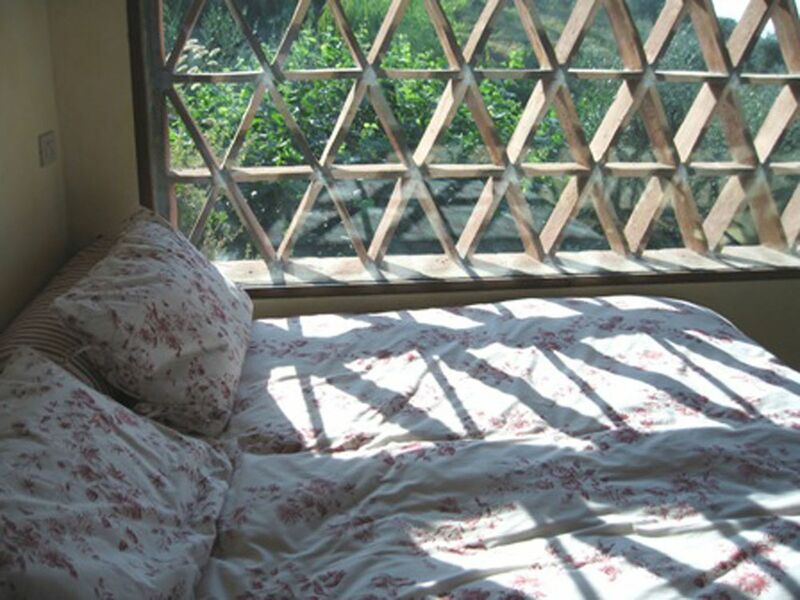 Air conditioning is available in the guesthouse at extra cost. 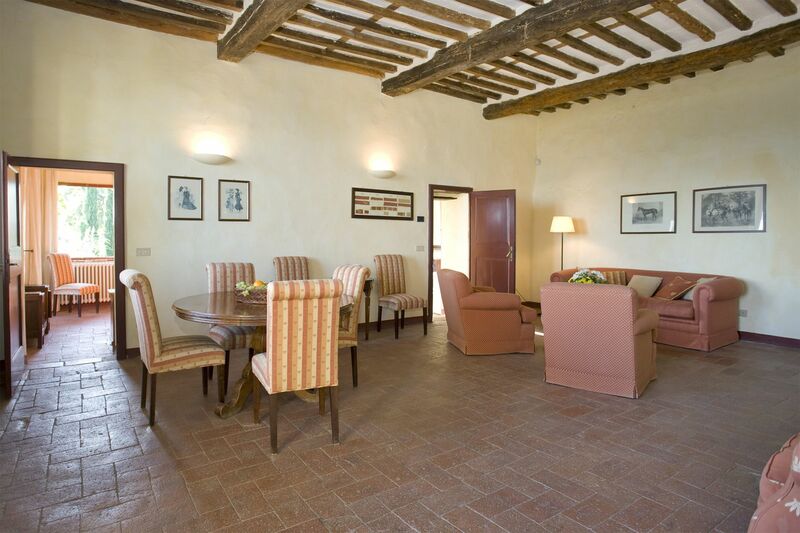 In low season it is also possible to rent the property for smaller groups. 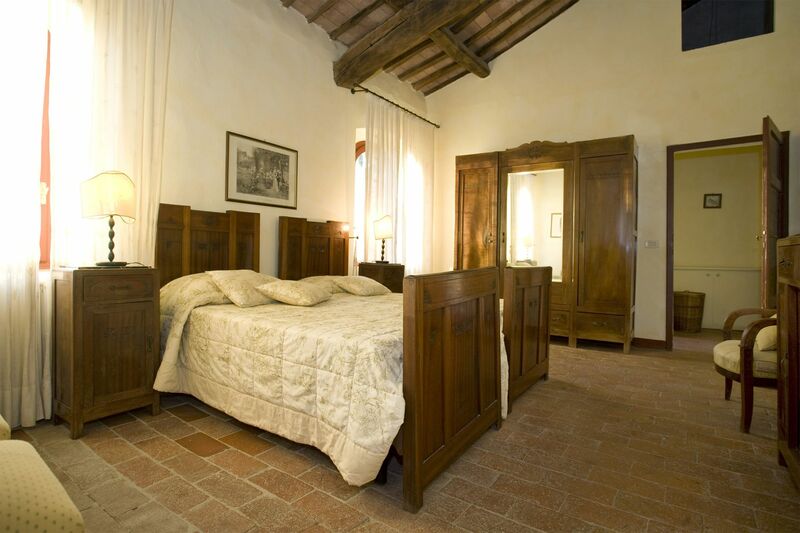 Cleaning service is included 9 hours a week. 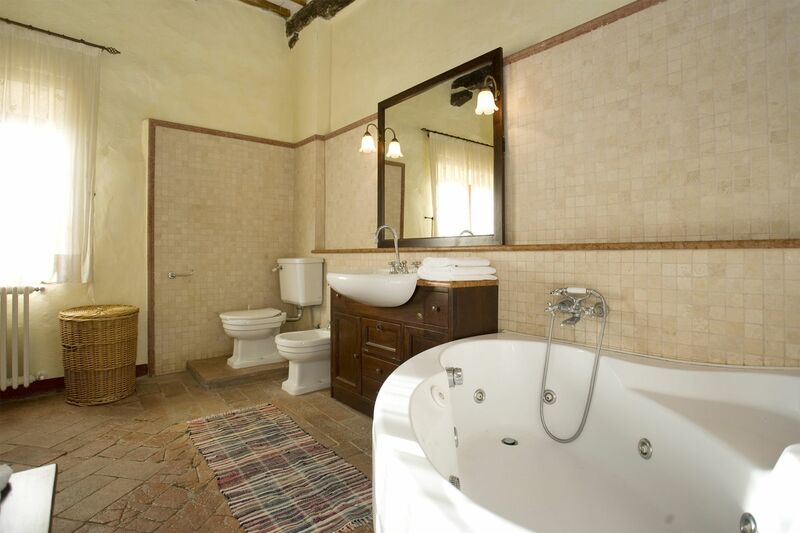 Large kitchen/dining room; small sitting room with fireplace; large sitting room opening onto a loggia furnished for outside dining; master bedroom with 4 poster bed and en-suite bathroom (Jacuzzi bath); study with fireplace. 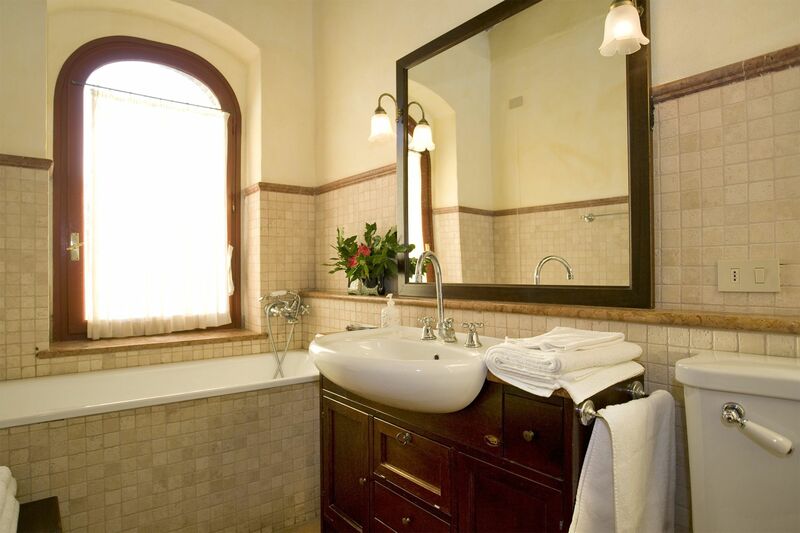 Suite with double bedroom, single room, small sitting room and en suite bathroom (bathtub); second suite with twin bedroom with en-suite bathroom (bathtub) and a large sitting room. 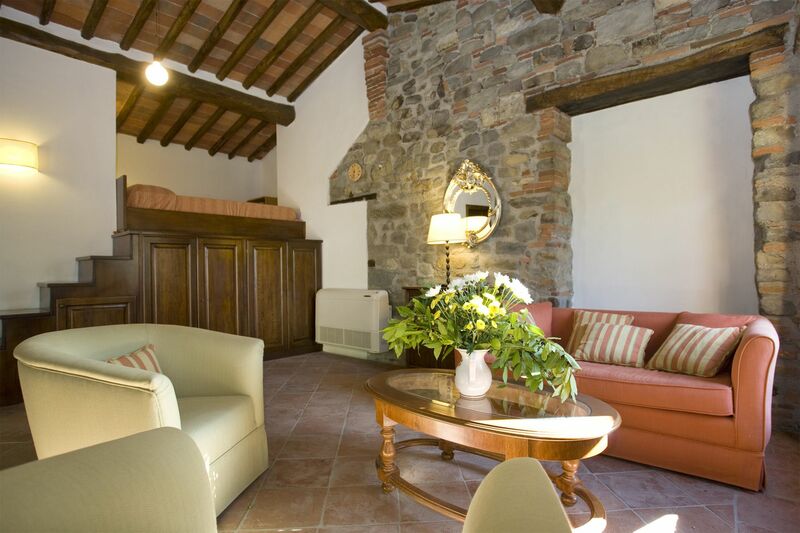 Independent apartment composed of a large sitting room with fireplace opening to the garden and a pergola, a kitchen and bathroom (bathtub); on the first floor a large twin master bedroom with balcony. 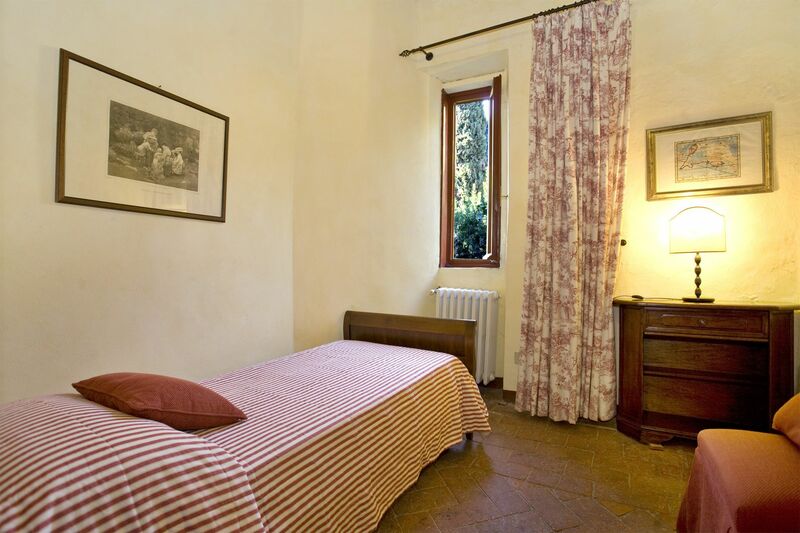 Small independent apartment composed of a sitting room with a double lofted bed opening onto the patio and a bathroom (shower). 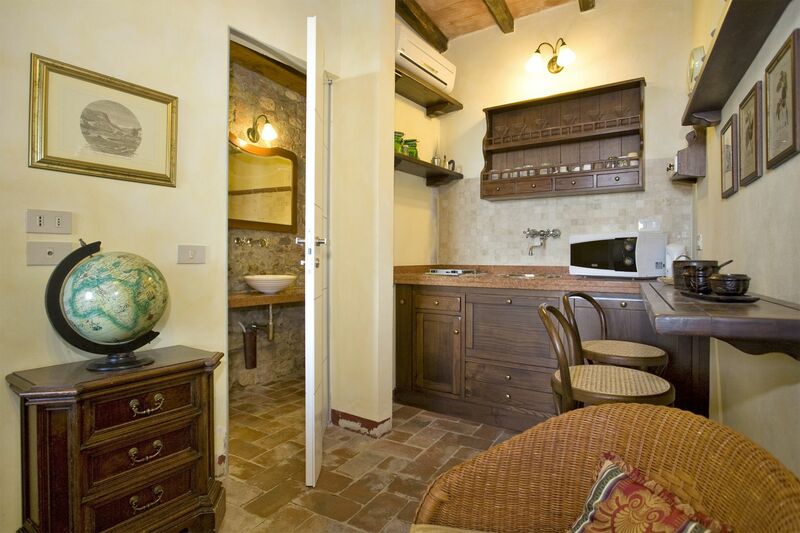 Independent apartment composed of dining room/kitchen, opening onto garden; bathroom (shower); on the first floor a double bedroom opening onto the patio.